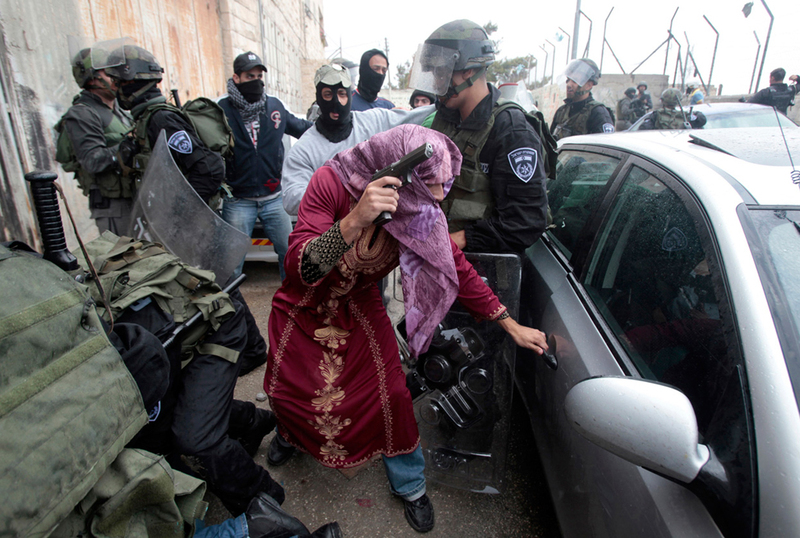 It was a typical Monday morning in the Jenin refugee camp, located in the north of the Zionist-occupied West Bank. Warm weather was accentuated by the breathtaking geographics, the gorgeous Jordan Valley to the east, the stunning Marj Ibn Amr to the north and the beautiful Samarah mountains in the south. But this beauty, is nothing more than a mere veil. The very fabric of Jenin is stained with blood; scarred with agony the likes of which will never be known by the majority of the world’s dwellers. 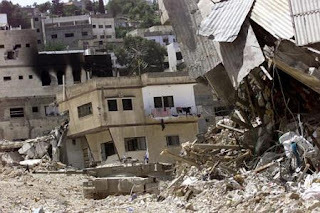 It is where Israeli occupation forces launched one of its most murderous operations, besieging Jenin for 13 days straight beginning on April 3rd, 2002 with apache helicopters, bulldozers, tanks and other heavy ground artillery. Paramedics, other medical teams and ambulances were prevented by IOF from entering the camp. Water, sewage, electrical and telecommunications infrastructures were destroyed. And hundreds, yes, hundreds of Palestinian men, women and children were savagely massacred, many of whom in their homes as Israeli soldiers told them to stay inside as their families were shelled and machine gunned to death. To this day, corpses of the Jenin massacre are still buried under the rubble of IOF’s rampage. The true death toll will never be known because the Zionist entity’s forces carted many of the innocents that they murdered to other areas of occupied Palestine to cover up the massacre (1). The arrogance of the usurping regime never ceases to astonish. The memory of the martyred cannot be covered up; the memory isn’t a cracked tile in a royal home, easily covered by silk rugs from faraway colonized lands. The martyred aren’t discardable material manifestations of consumerism, they are eternal representations of a struggle birthed in the doldrums of oppression. The martyred cannot, will not and were not buried by Zionism. Though not physically visible, they roam through Jenin in defiance, inspiring new generations of Resistance. ﻿﻿It is this righteous necessity, this spiritual duty, this indigenous right, this act, to resist in honor of the fallen, that has given the people of Jenin the strength to fight on tragedy after tragedy. Nine years to the day of the beginnings of the Jenin massacre, tragedy would strike the refugee camp once more: brilliant and passionate Palestinian-Israeli director, actor and solidarity activist Juliano Mer-Khamis was shot dead after a masked man fired five bullets into him in front of his wife, Jenny, and their youngest child (2). Born to an anti-Zionist Israeli Jewish mother and a Palestinian Christian father, the slain director’s life was living, breathing politics; existential struggle. He had served in the Israeli occupation forces, to the dismay and disgust of his father, but when he refused to comply with an order to oppress his father’s family at a checkpoint, he was sent to prison for a year and later dismissed from his “duty.” His upbringing aside, this was the first event to change Juliano’s life. The second, was the horrific mass murder that took place in Jenin at the hands of the Zionist terrorist organization he stopped serving. It was the trauma, the suffering, the humiliation and the depression of the Palestinian children of Jenin that inspired Juliano to found the Freedom Theater, a place where Jenin’s residents could take out their anger and frustration, and express themselves through music, art and poetry (3). Juliano was a dedicated activist who fully supported the BDS (Boycott, Divestment and Sanctions) movement against the Zionist entity (4), a fierce critic of Zionism, hasbara and the Jewish extremism that governs Israeli society (5) and an advocate of the One State Solution, effectively ending Zionism and its apartheid system and granting equal rights to all people in historic Palestine (6). He was a voice of reason, a voice of brutal, unadulterated honesty and a voice of Resistance for the Palestinian people. crying for its fallen son. Zionist newspapers, typically and disgustingly, blamed Palestinians for the murder though the “investigation” was still under way and as is the case with all instances under Operation Phantasmagoria, no evidence could be found to link Palestinians to the crime (9). All Palestinian factions, whether based in the besieged Gaza Strip or the occupied West Bank, emphatically denied the accusations and condemned the killing of Juliano. Additionally, it is flagrantly asinine to think that Palestinians would take the life of someone whom they loved like family, someone who dedicated his life to Palestinian liberation and bettering, inspiring and empowering Palestinian children (10). Who then, could have taken the life of this beam of light in Palestine? Who then, could have taken him from his wife, children born and yet to be so and the city which loved him dearly? Question: Did Juliano Mer-Khamis “unfortunately die of a Palestinian bullet?” Answer: Absolutely not. But the assassin and the planners pulling the strings of the assassin certainly intended for it to appear that way. Jenin is a refugee camp fully controlled by the Zionist occupation and its proxy militias in the collaborationist Palestinian Authority (PA). Its day to day affairs are governed by the Orwellian authoritarianism of “Prime Minister” Salam Fayyad and "President" Mahmoud Abbas, darlings of the West and Zionism’s main men in the occupied West Bank. Extra oppression is provided by the Zionist entity’s occupation forces. Therefore, the occupation government and its puppets bear full, direct responsibility for any crime that takes place within Jenin, as it falls under their dominion (12), especially what takes place within the vicinity of the Freedom Theater considering it is frequented by children. Secondly, as mentioned previously, all Palestinian factions rejected any involvement in the murder and condemned it for the heinous act that it was. With that reiterated, it came as an astonishment when PA forces detained a man by the name of Mujahed Qaniri as the triggerman. The PA said the ‘former’ Fatah party member was now affiliated with Hamas and other ‘Resistance’ factions in besieged Gaza. Hamas’ spokesman vehemently denied the charge (13). Qaniri himself, whom Hamas says is still active in Fatah and all of Jenin is aware of this fact, has also denied the charges leveled against him by the occupiers’ lapdogs (14). It has been reported that Qaniri was ‘identified’ by an eyewitness. But if the attacker who shot Juliano to death was masked, it would be totally impossible to attain identification, wouldn’t it? Indeed it would be. There are also conflicting reports as to how many attackers there were: one or two. In reality, despite words of conviction from the Ramallah entity known as the ‘PA’ that it would struggle to find the murderer(s) of Juliano, the killer(s) remain at large because Qaniri has been exonerated after a DNA test solidified his innocence (15). Another crucial piece of evidence that must be noted to provide a full picture of the severe criminality involved in Juliano’s death is this: despite attacks on the Freedom Theater in 2009, there were no threats against Juliano or the Theater since then. Not even a single one (16). No suspects, no leads as to who could’ve pulled the trigger so cleanly and, obviously, no threats against him from the community that cherished him. Is the elephantine blue-and-white six-pointed star in the room starting to become clearer? The ‘state’ is the usurping entity of Israel, and the powerful organization within it is the IOF, its intelligence unit to be specific. 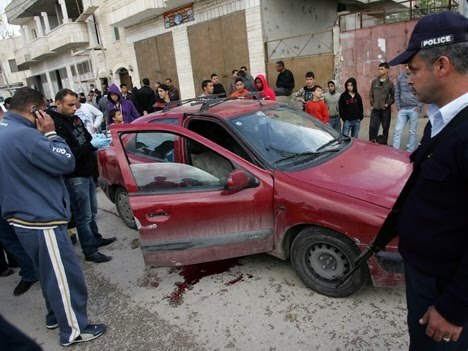 Immediately prior to the assassination of Juliano Mer-Khamis, Israeli intelligence officers invaded occupied Jenin and ransacked the homes of four residents, handing out detention summons to their family members (18). Immediately after the murder, Israeli intelligence officers were back in occupied Jenin to hand out detention orders to three more residents (19). 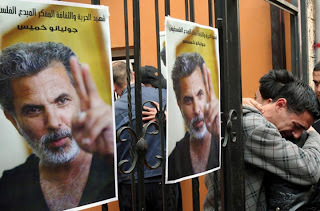 ﻿The lack of security near the Freedom Theater, which the PA has already assessed by reminding all inquirers that there were (conveniently) no threats against Juliano or the Freedom Theater in years, undoubtedly allowed the criminal(s) to commit the act and slip away. With the Israeli army’s ability to move freely in the West Bank due to its tyrannical military occupation and its ‘security coordination’ with the PA serving as insurance, IOF’s presence in Jenin on the day of Juliano’s death is beyond suspicious; it’s damning. This wasn’t an ordinary army brigade, but a special intelligence unit. And considering the Zionist media invoked Juliano’s ‘prognostication’ and reported the murderers to be ‘Palestinians,’ there is only one culprit that fits the description of everything aforementioned: the Mistaravim, an undercover unit of Zionism’s armed militias that has been carrying out operations of assassination, torture, dispossession and ethnic cleansing since al-Nakba. The Mistaravim has been highly efficient because it executes its criminality in Arab costume (20). The deep (and morally vile) collaboration between the Palestinian Authority’s security forces and the Israeli occupation (21), is the final dagger of truth in the Juliano Mer-Khamis murder investigation, linking Israel to his death and confirming Mistaravim involvement. Though the PA may not have known the ins and outs of the Zionist operation in Jenin on that fateful day, it is not likely. The ‘security coordination’ between IOF and Fatah’s militias go far beyond simple information exchanges. The UK-Israeli-US trained Fatah militias partake in raids against solidarity activists, frequently detain and torture Resistance members and supporters (22) and murder innocent Palestinians, the very same people the PA is supposed to be governing (23). And Fatah’s relationship with the Mistaravim death squad is no different. 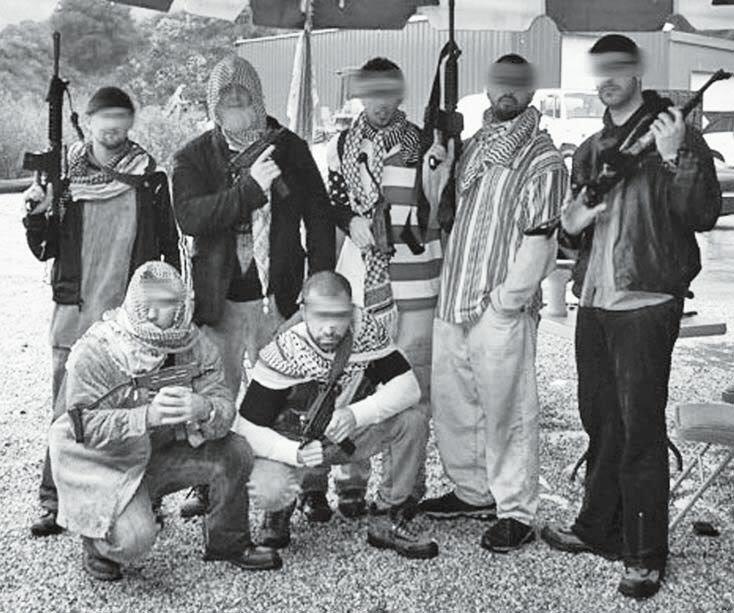 The undercover IOF brigade operates with Fatah’s full knowledge and cooperation, even in the PA home base of Ramallah (24). 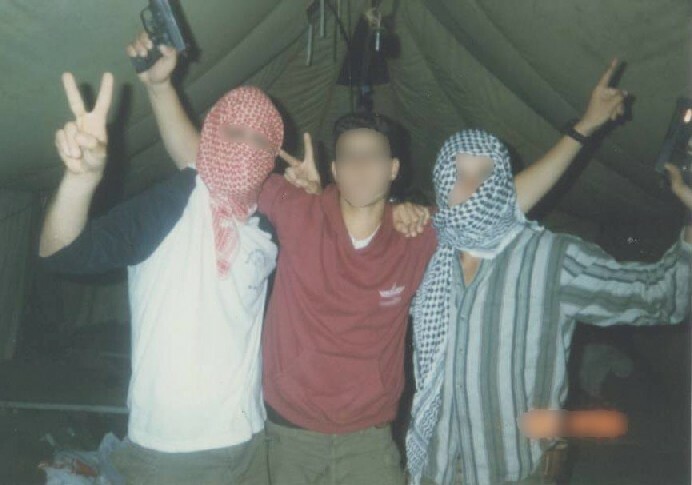 The Mistaravim unit in the occupied West Bank is known as Duvdevan, or Unit 217. It is considered to be the most elite killing machine within IOF and it answers to no superior officer, collecting its own intelligence with full authority from the Prime Minister’s office to carry out everyday hit-and-run operations (25). Duvdevan has been active in the West Bank since the First Intifada, and it has had been particularly barbaric and merciless with the Palestinians of occupied Jenin (26). The military intelligence officers in Jenin that day belonged to Duvdevan. It was Duvdevan that carried out the hit on Juliano Mer-Khamis. Recap: Duvdevan invaded Jenin to carry out its daily terrorism against the occupied Palestinian population, with the delighted backing of the PA, and in the midst of raiding homes and handing out imprisonment orders, a Duvdevan officer, in classic Mistaravim ‘masked Arab’ clothing, blasted Juliano in front of his family and left him in front of the Freedom Theater murdered before disappearing. The PA locked down the area to finish the establishment of the cover-up and engaged in a farcical man-hunt of Juliano’s killers before it all came crashing down with the innocence of Qaniri, the only suspect brought in. 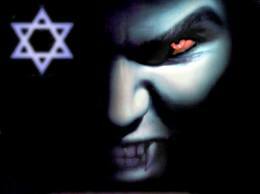 The PA will never investigate itself, nor will it investigate its Zionist masters. The murderers who planned and executed Juliano’s assassination, i.e. Netanyahu, Barak, IOF Chief of Staff Gantz and Mahmoud Abbas, may remain at large, but their monstrous and subversive behavior is exposed here, and though they most assuredly do not know it, those inspired by Juliano’s righteous commitment to Palestine’s liberation make them pay for their intransigent devilishness with each passing moment. Following the tragic death or Juliano Mer-Khamis, multiple committees of anti-apartheid wall activists through the occupied West Bank issued profound statements, identifying who they (rightfully) believed to be behind the killing, “His death was part of the escalation exercised by the Israeli occupation. We hold the Israeli occupation responsible; it is what permits such horrific acts. The killing of Juliano only serves Israeli interests (27).” The activists could not be more spot on. The Zionist entity’s Duvdevan Unit assassinated Juliano Mer-Khamis for three reasons, each one embodying the very purpose of Operation Phantasmagoria’s initiation. Reason Number One: to portray Palestinians as animalistic barbarians who abhor theater and other ‘Western’ expressions of creativity and thought. Despite its laughable and terribly racist premise, it is part of the very real ‘culture of hate’ campaign that Zionism has had in effect against Palestinians and Arabs as a whole since its birth. It is ironic that Zionism itself, a creation of wealthy Ashkenazi ‘Jewish’ men who are descendants of the nomadic Khazars (28) and not the ancient Hebrews as are the Mizrahim (Arab Jews), is a culture of hate. It hates the Mizrahim and cleansed them of their Arab identity by browbeating them through false flag terrorism, racism and over a decade in internment camps (29). It erodes its Eurocentric origins in exchange for the adoption of Eastern food, language, dance, music, dress and of course, land, through the channels of theft and desecration. And its survival is only guaranteed through the perpetual promotion of Arab hate to its children, which it molds into the next generation of Zionist occupiers (30). Reason Number Three: to eradicate the hope that Juliano’s very existence represented. Juliano Mer-Khamis famously said, “I am 100% Palestinian and 100% Jewish (35).” This concept is something that the Zionist entity considers exceedingly dangerous due to it attempting to convince the world it must remain a “Jewish and democratic state.” It is a concept that embodies peace, love, justice, compassion and equality, all of which are qualities that do not exist in the apartheid system that Israel uses to govern its domestic affairs. Juliano physically represented the idea that Arabs and Jews can live together as one, in harmony, in brotherhood, in defiance of Zionism and its mechanisms of injustice, as it once was prior to Israel’s blood-drenched creation. Juliano represented the inevitability of Zionism’s collapse, the inevitability of historic Palestine’s restoration, the inevitability that equality will triumph over supremacy. Juliano’s declaration represented a rejection of Zionism’s racism and xenophobia, and an embrace of humanity, something that the Zionist entity does not want to spread throughout its society. Juliano represented the future; a future free of occupation, checkpoints, barbed wire, walls, settlements, restrictions and discrimination. Juliano represented Palestine. 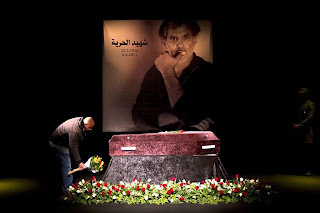 It is not a coincidence that one week before the Duvdevan Unit’s assassination of Juliano Mer-Khamis, the much-anticipated, heavily-praised film “Miral” debuted in the United States. Mer-Khamis’s death drew the world’s attention away from this stunning based-on-a-true-story masterpiece about the tragic everyday existence of life under occupation, the horrors that Israeli forces committed during al-Nakba, the triumph over ethnic cleansing and the courage of Hind Husseini, the legendary Palestinian heroine who rescued 55 children from the streets of al-Quds after the ungodly Deir Yassin massacre. In addition to the brilliance of “Miral,” Juliano has appeared in at least 32 other films and documentaries (38), many of which deal with the Palestinian struggle for unequivocal liberation and the racism within the ethnically cleansed Palestinian establishment now known as ‘Israel.’ His masterpiece, something which he co-wrote, co-directed and also provided the cinematography for, is the award-winning documentary “Arna’s Children,” a genius chronicle documenting the work of his mother, Israeli activist Arna Mer-Khamis, who fought against the Zionist occupation in Jenin by establishing a new education system when IOF shut down the schools. “Arna’s Children” is also one of the most damning accounts of Zionist crimes against humanity caught on camera (39). 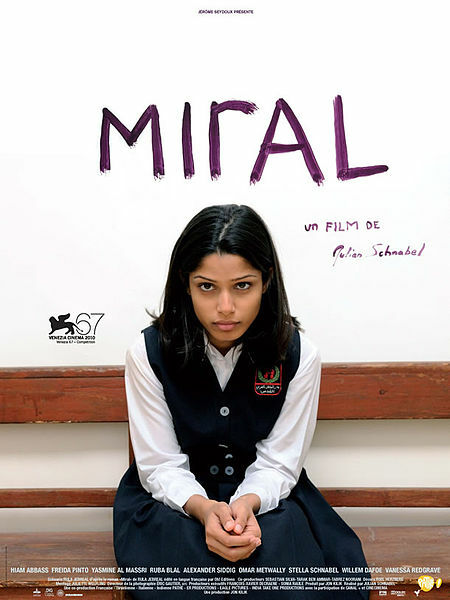 It is just as gut-wrenching, inspiring, gorgeous and powerful as “Miral,” if not more so, and also like “Miral,” it will stand the test of time as an eternal work of truth combined with artistry. The fearlessness and rawness of “Arna’s Children” has touched Palestinians and Israelis alike, serving as a painful affirmation of devastated life in Jenin for the former, and serving as a wake-up call for the latter, bringing them back from the proverbial hell of “Zionist thinking” and igniting a fire within them to fight for justice (40). The real legacy of Juliano Mer-Khamis however, lies within his actions as a human being. He was a tour-de-force personality who stood up for principles of humanity when many around him had no interest in taking on such a ‘burden.’ He was a man who simply inspired, there is nothing abyssal or intricate about it. And Juliano Mer-Khamis, will forever remain a child of Palestine. Every April 4th, his sacrifice will be commemorated like those who gave their lives before him. His children will hold their heads high as the flight of condors knowing that their father was a freedom fighter. Zionism’s Operation Phantasmagoria may have taken Juliano’s life, but it did not and will not ever take his spirit. Something temporary can never conquer something everlasting. Rest in peace Juliano, you will be terribly missed. Salaam brother, another amazingly visual article that puts the reader behind the scenes. I've always known there was something dirty behind the death of activist Juliano Mer-Khamis. Thank you for once again opening my eyes. No surprises here. Well done. I have posted this. Another example of "the good die young". He was an extraordinary man, I remember seeing photos of young men who had been in Israeli prisons. They were enacting their torture in an artistic and very beautiful manner that you knew was healing. The entity is terrified of good people who make a difference, especially if, as you say, they prove that the races living harmoniously is possible. I met Juliano in Goa in 2001. He really did have a "tour de force personality." He came to the guest house where I was staying one afternoon to buy a motorcycle. I didn't know who he was, but he was electric and I wanted to know why. So, I introduced myself and after a couple of subsequent conversations over cups of chai while he waited two days to take possession of his Royal Enfield bike I learned his story and knew that I had met a remarkable man. I thought we might cross paths again sometime somewhere, but that's not in the cards now. Thank you for the moving tribute and the news about Miral. I'll certainly go see it. Julian Schnabel is has turned out to be an even better film director than a painter. He goes everywhere in his pajamas. WTF!